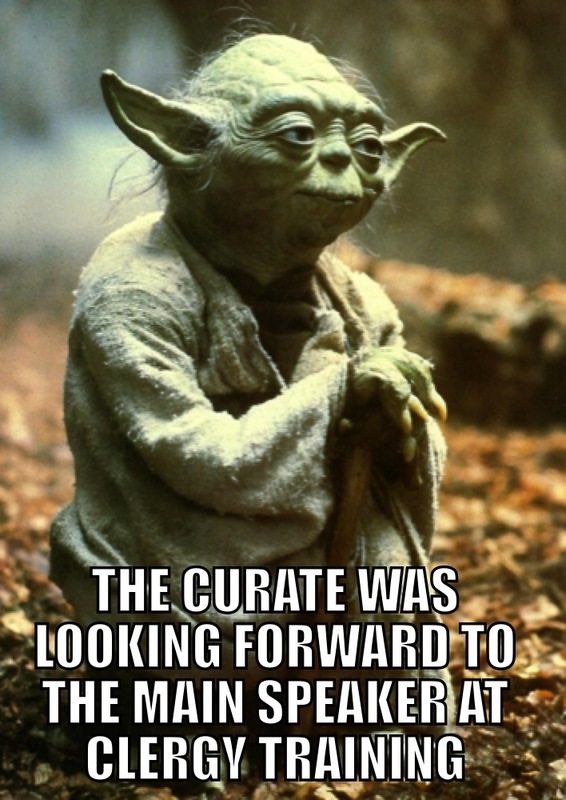 This entry was posted in Memes and tagged church, Church of England, training, Yoda by masterofthememes. Bookmark the permalink. That’s the trouble all the best names and descriptions have been changed over the years. IME sounds so clinical – potty training – now those were the days!! In our neck of the woods (Chelmsford) we call it CMD (Continuing Ministerial Development). It used to be CME (can’t remember now what the ‘E’ stood for) and some still refer to it as that- but it is still Potty training (a rose by any other name!). Thank you for continuing to brighten my day.